STAR strategies + architecture is one of the new six teams of architects and urban planners appointed by the Atelier International Grand Paris (AIGP) to be part of the Scientific Committee for the mission: Grand Paris: pour une métropole durable. The jury was chaired by Pierre Mansat, deputy Mayor of Paris. 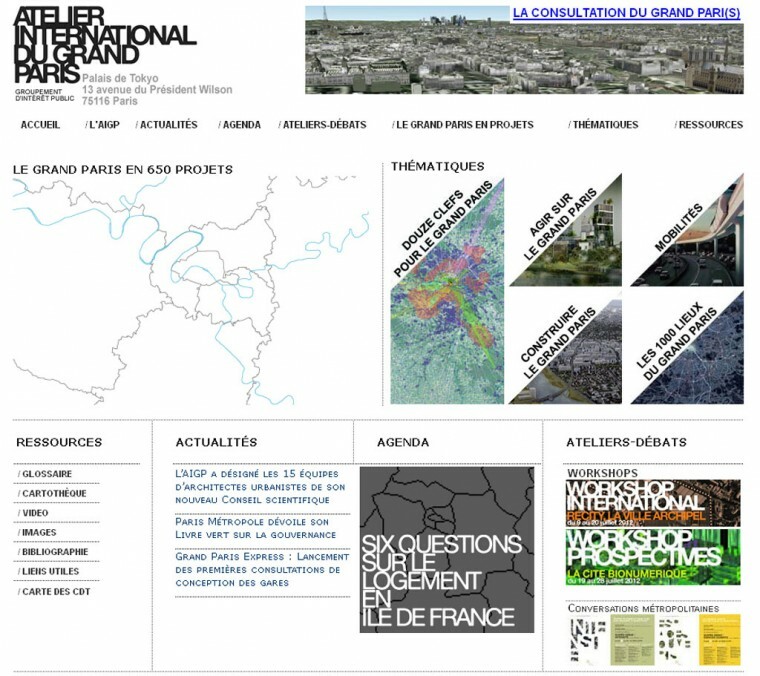 The Atelier International Grand Paris was created in 2010 with the support from the President of the French Republic as an answer to the consultation launched by the French Ministry of Culture and Communication in 2008 to envision a sustainable development of the Greater Paris area. The project is referred to be the most ambitious since Haussmann plan for Paris in the 19th century. The aim of l’ AIGP is to study, propose, and advice the French Government in all the fields related to architecture and urban planning for the sustainable development of the Greater Paris Area. -expert consultans and advisors: Georges Zouein and Marwan Zouein (GAIA Heritage, Paris –Beirut) advisors for management and economics of cultural and natural heritage; Raphaël Ménard -Director, Loubliana Petroff and Paul Azzopardi, (Elioth, Paris); engineers consultants for sustainable development, energy, and environment; Kai van Hasselt, (Shinsekai Analysis, Amsterdam) cultural and urban trend analysts; Yann Collandre (Lyn Capital, Paris), real state and financial advisor. See the press release in Le Moniteur. •TVK Trévelo et Viger-Kohler / Acadie / Güller Güller (mandataire Pierre Alain Trévelo et Antoine Viger-Kohler).